Malayalis around the world are celebrating Onam today. The 10-day harvest festival of Kerala also celebrates the popular legend of King Mahabali who sacrificed his life for his subjects. With pookalams, payasam, sadhya and kaikotti kali, this is a day of merriment and of course loads of food. And when it comes to food, there has to be a grand sadhya (feast). 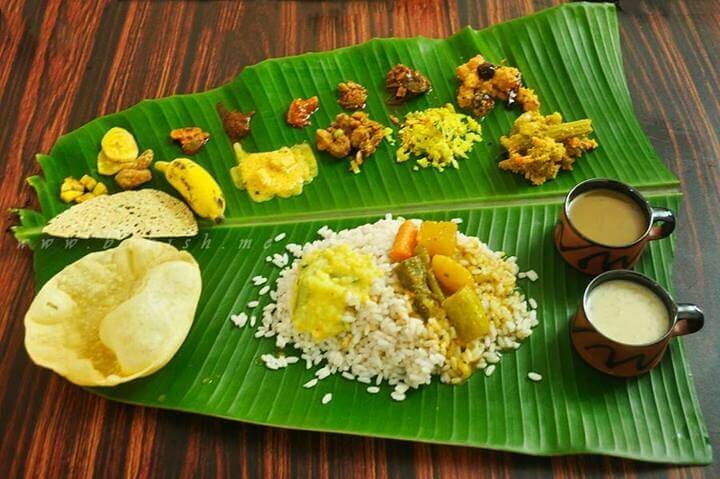 This sadhya traditionally comprises of 26 or more vegetarian dishes and is served on a banana leaf. 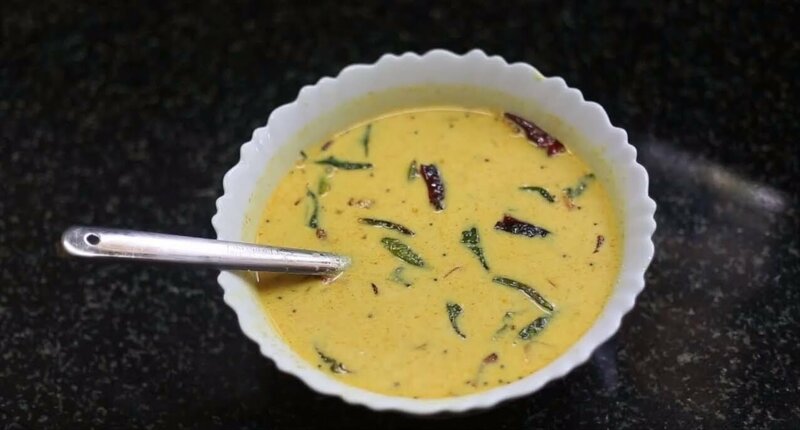 The entire gathering is served one dish at a time, starting with salt, upperi and sharkara varatti, followed by all the other dishes, rice and ending with payasam. This is the one day when Keralites gladly denounce their love for meat. The one thing everyone loves the most - banana chips. A good handful is served at the very beginning followed by the other 25 dishes. Obviously by the time everything else arrives, you'll need another handful. The sweeter version of banana chips. 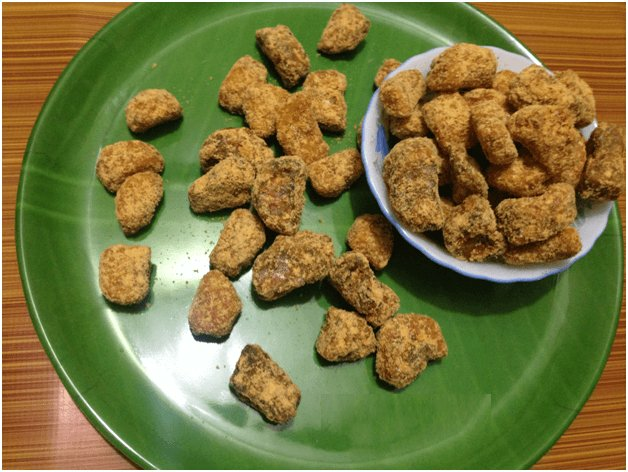 Made of jaggery, this hard to eat sweet will leave you wanting more. 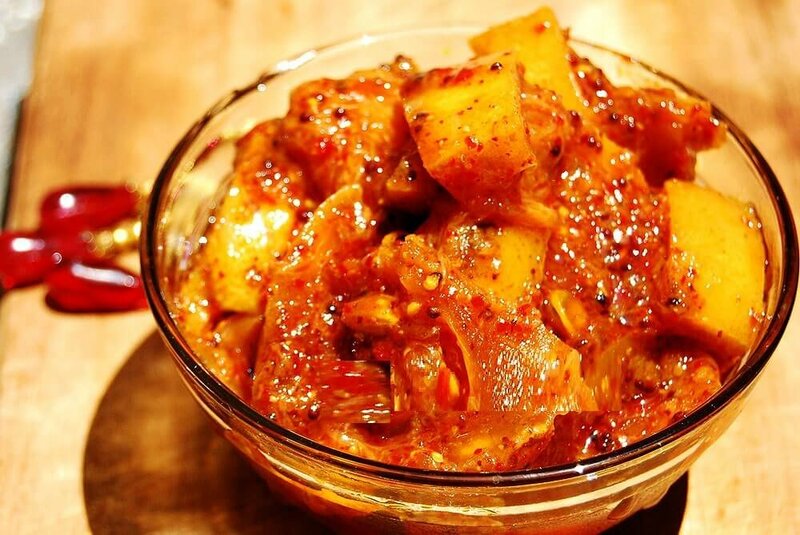 Plain old mango pickle to give your tongue a tangy taste of some amazing spices. There will be two types of pickle in any onam sadhya for sure and this is the sour lemon pickle to add some zest to your taste buds. A yummy dish made with pumpkin, red beans and a generous amount of grated coconut. Made with curd and your choice of vegetable ranging from pumpkin to cucumber and topped with a gracious amount of grated coconut. 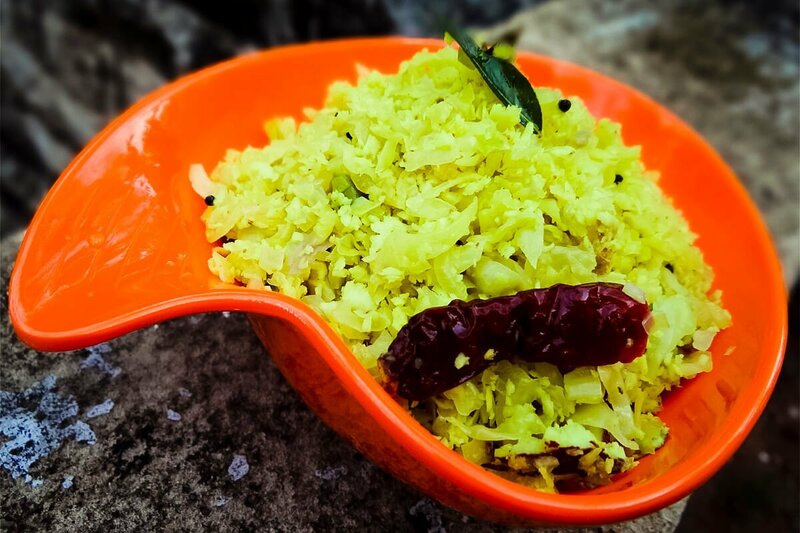 A signature dish made with yogurt, yam or raw banana or of course our favourite, grated coconut. 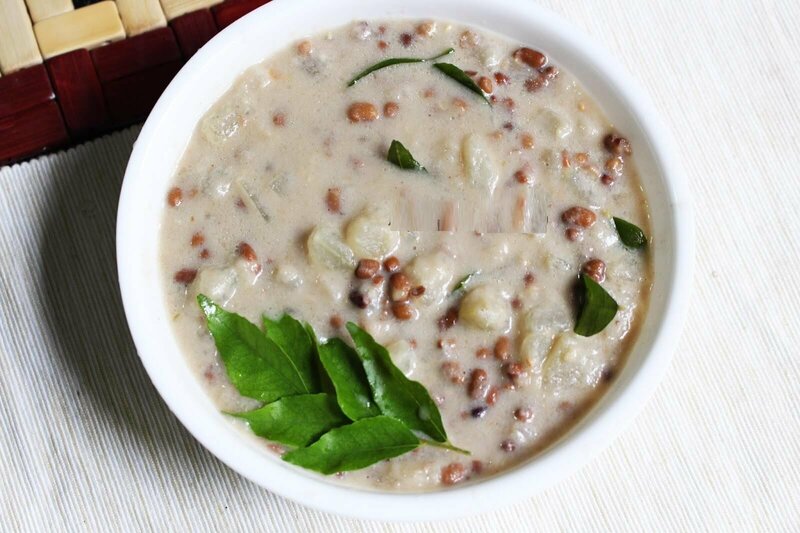 Ash gourd and red beans splashed with a generous amount of hand-pressed, authentic coconut milk. 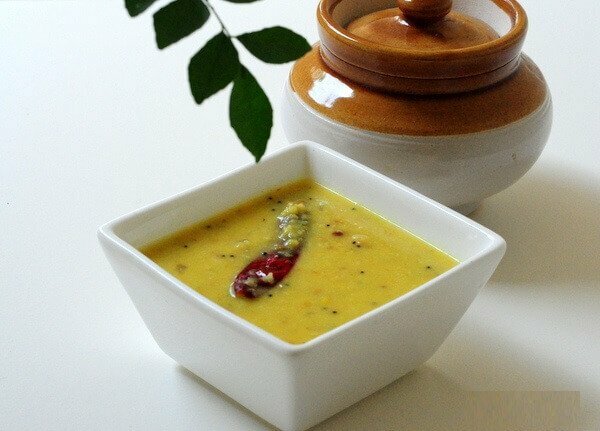 A delicious yogurt-based curry made with either pineapple or bitter gourd and, of course, grated coconut. This is my personal favourite! Yam cut into thin slices, boiled with spices and fried in coconut oil. You can't resist another helping of this. 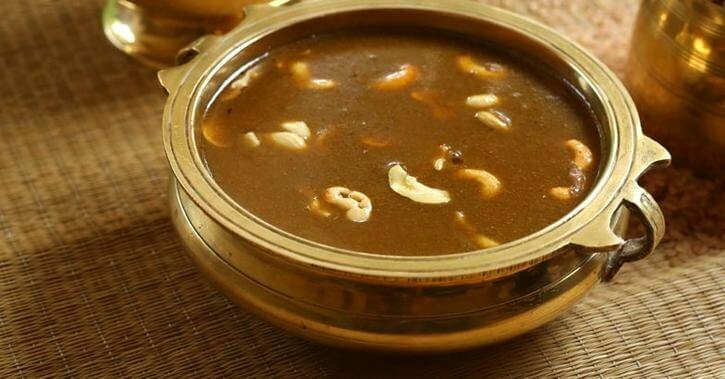 A must have for Onam, Inji curry is ginger, tamarind and jaggery. 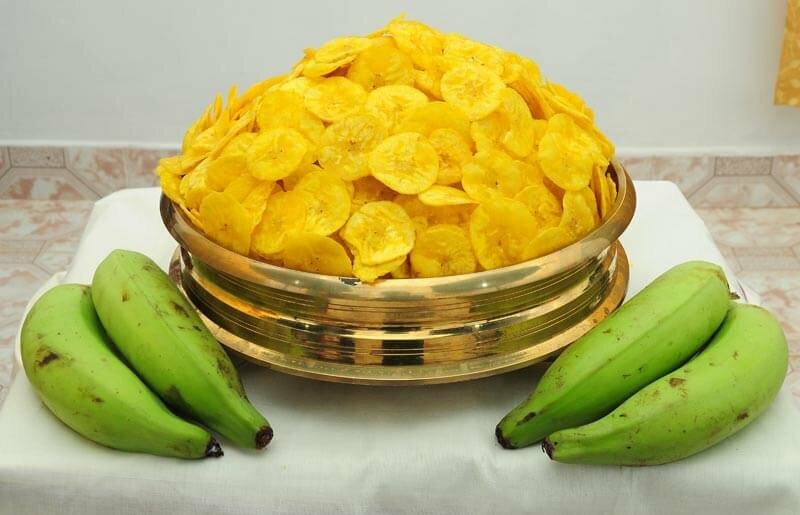 In most malayali households, this is the first thing that is prepared in the days leading to the 10th day of Onam. Plain old moong dal topped with red chillies, black sesame seeds. Top it with ghee and you'll be having a gastronomical heaven in your mouth. Well, this is just rice. But on Onam, most Malayalis serve red rice. If you haven't tasted this version of rice, well, you're missing out in life. 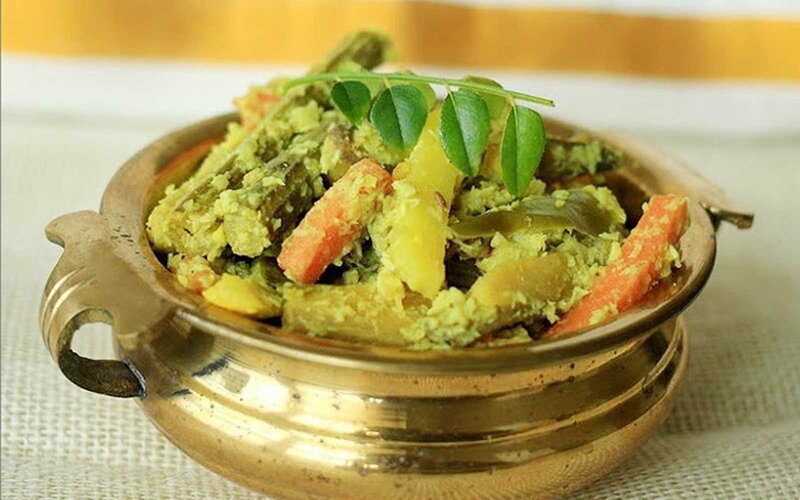 An essential dish of the Onam Sadhya, Sambhar is cooked with every vegetable there is from beans to potatoes to yam. Everything goes in to making this wonderful dish! 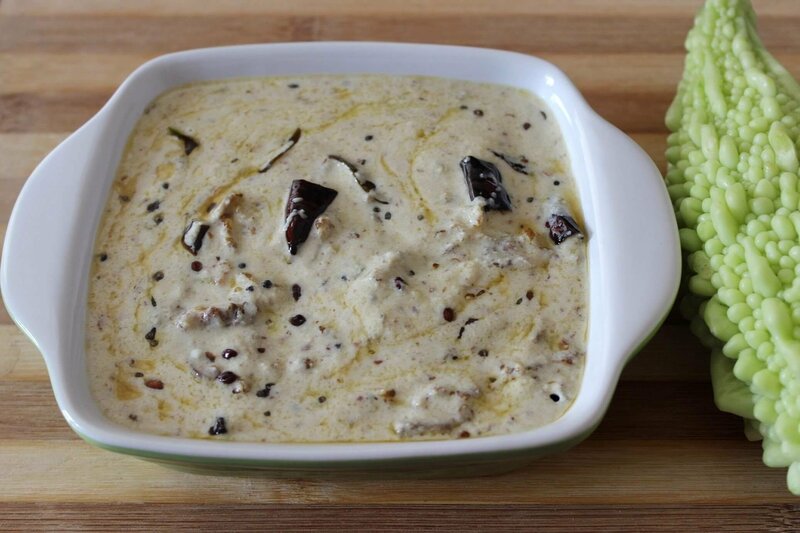 Yogurt boiled to perfection with black sesame seeds, shallots, ginger and garlic. 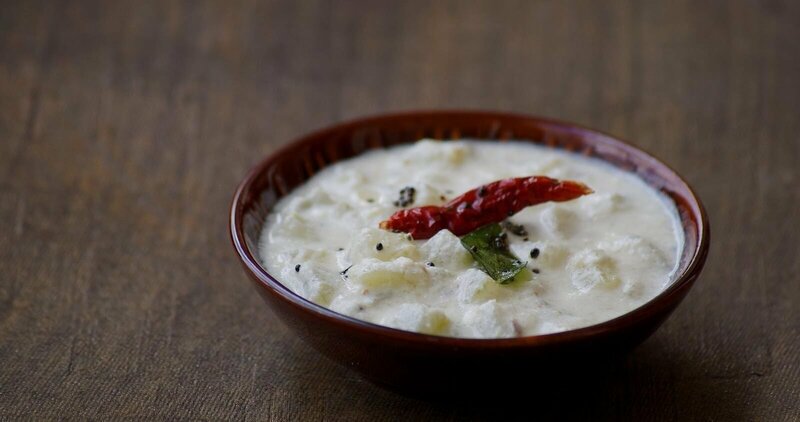 If you're a Malayali, then you know it's one of those healthy, comfort food you so love. 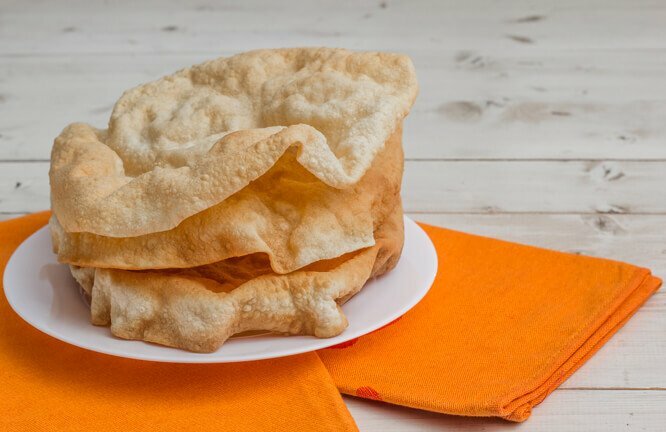 Good old pappads made with rice flour. You'll need many of these to wholly enjoy your meal. Mixed vegetables with grated coconut and made in coconut oil and milk. With so many dishes, this dish usually gets overlooked. But man, this is one tasty mixed vegetable dish you'll ever have. 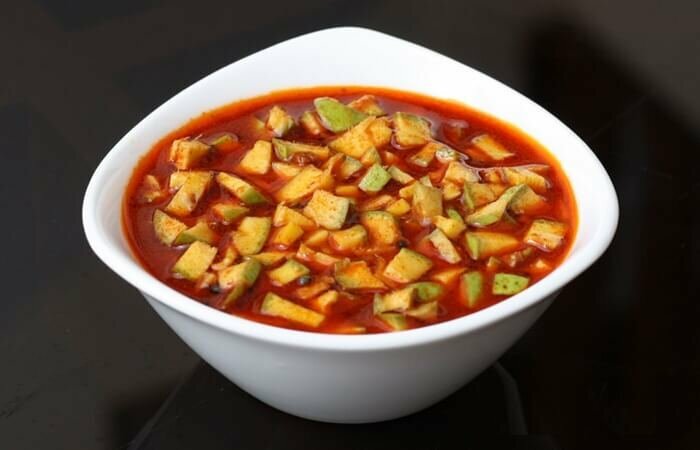 Spicy yogurt with your choice of vegetable. It can be okra, cucumber or even bitter gourd. 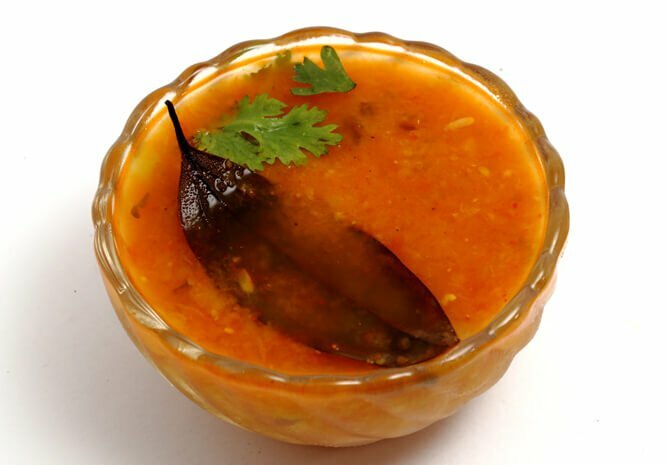 Add it to your rice and parippu, and see how you lick your fingers in the end. 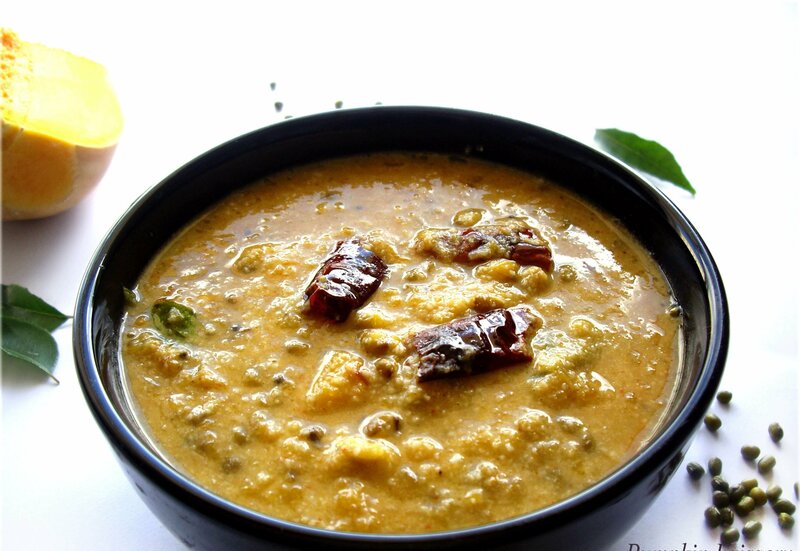 Spicy tamarind soup, sprinkled with a generous amount of curry leaves, mustard and tomatoes. 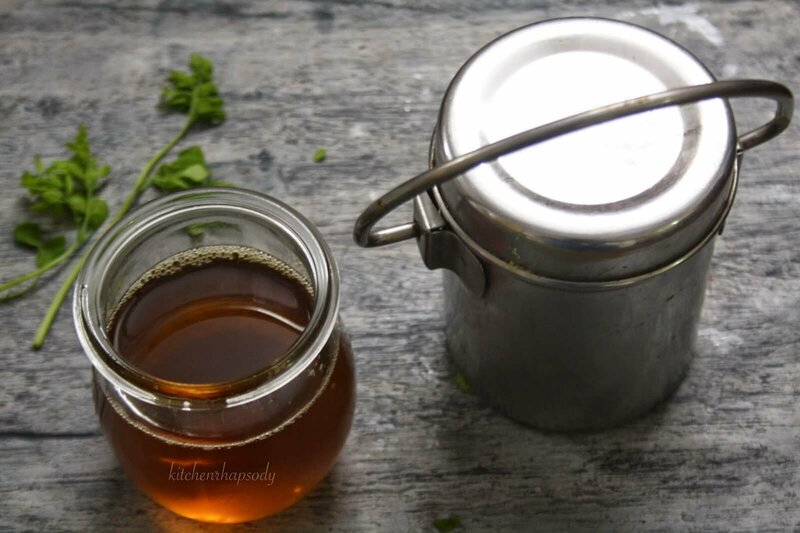 Drink it up in the end for digestion or just add it with your sambhar and rice. Raw bananas and black chana with grated coconut made into a dry curry. You'll never even know it's raw banana, that's how well it is cooked. Popularly known as ghee in hindi, it serves a very important purpose. A spoonful of it on top of the rice and parippu, and you'll be licking your fingers. Loads of thinly-sliced ginger, mixed with yogurt, black sesame seeds and spices. This one is absolutely lip-smacking! 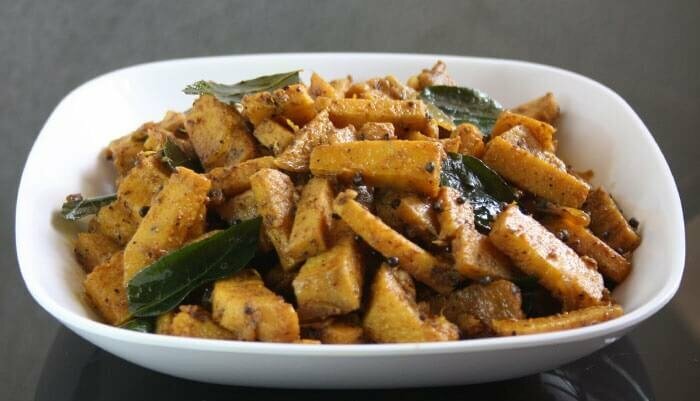 A staple in every malayali household, thoran can be made from any vegetable. Usually, it's cabbage and carrots or just beans with grated coconut. 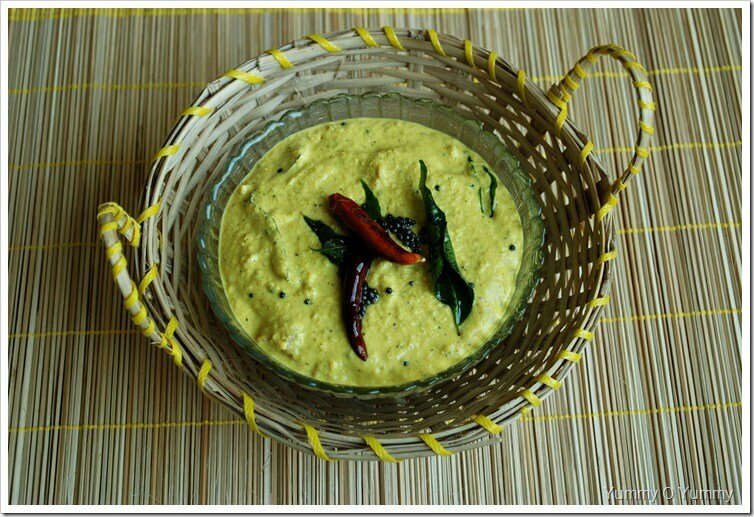 Minimal cooking time and the perfect healthy dish to go with your Morru Kachiyatha. 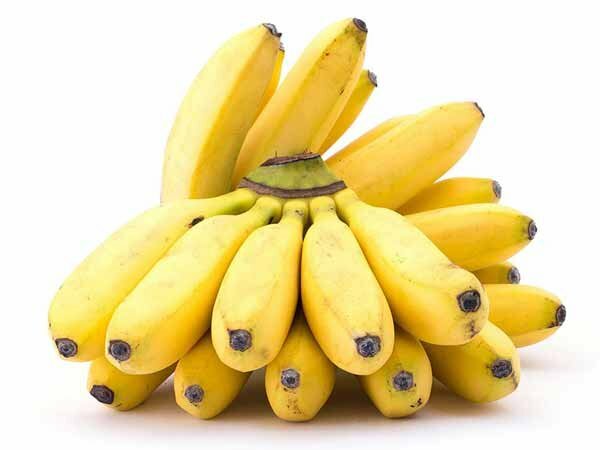 The smaller version of a banana, it adds taste to your payasam when mashed with hands and mixed well together. Don't forget to add a pappadam or two for that extra crunch. 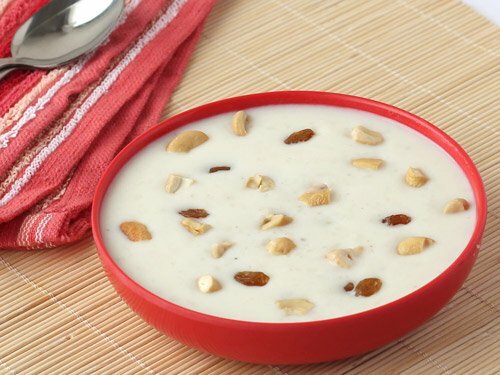 The last dish that is served- a sweet dish made with milk, dry fruits and rice ada. The sweetness is just perfect to balance all the spices. Rice ada, cashew nuts, thinly sliced coconut pieces and jaggery. If you want to eat it the right way, refer to Poovan Pazham. You'll enjoy this delicacy much better. 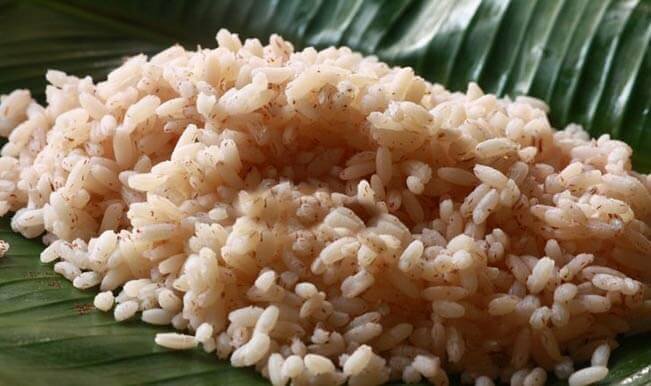 Here's a video of the lavish sadhya, the yummiest part of Onam! Well, now that you know all the delicious Onam dishes, let the feast begin. A very Happy Onam to you all!